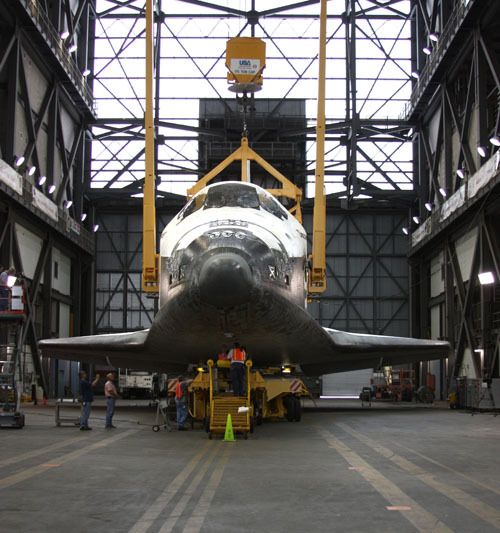 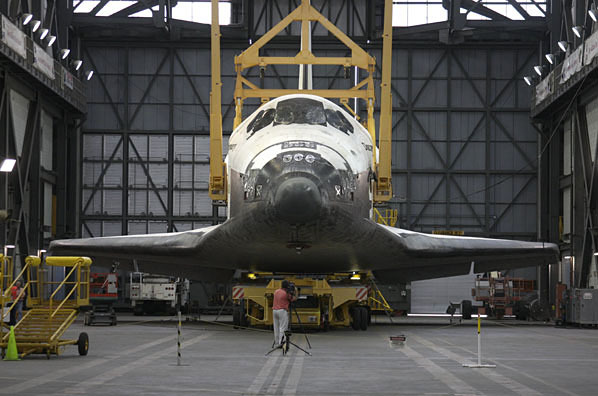 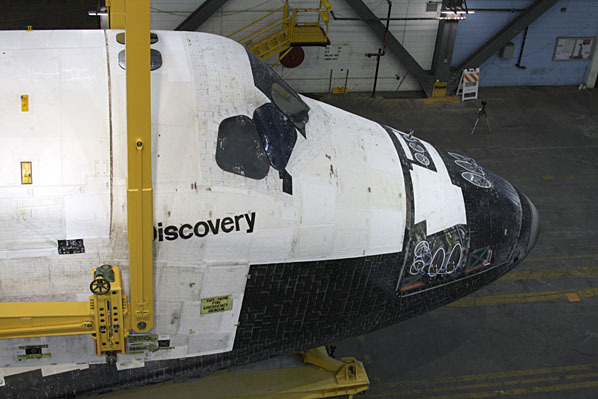 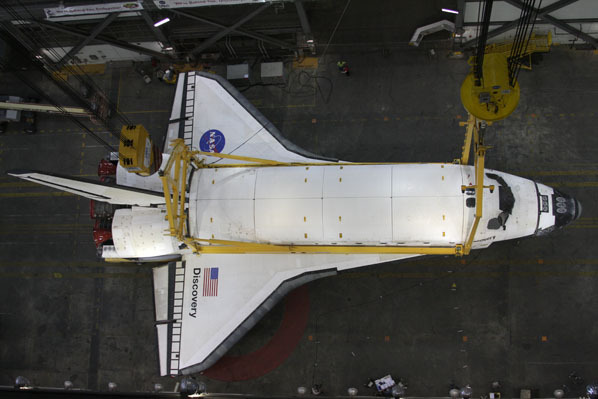 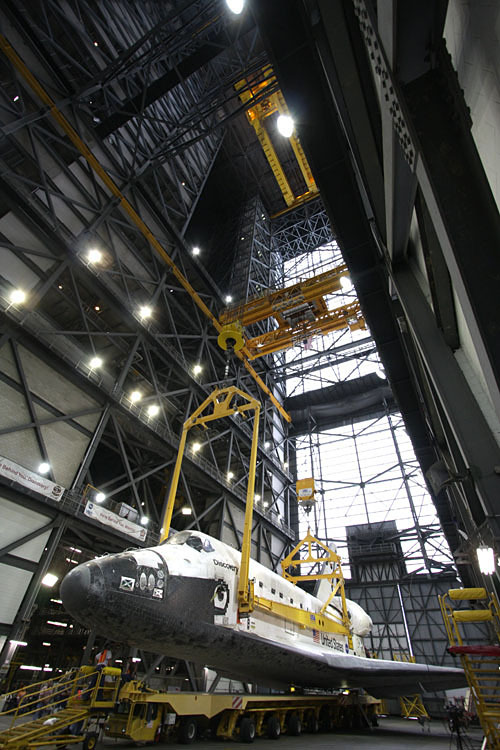 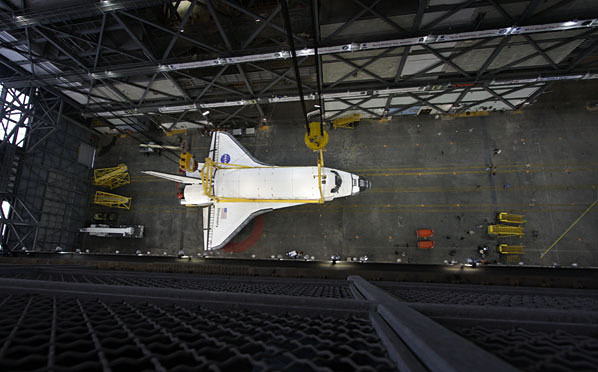 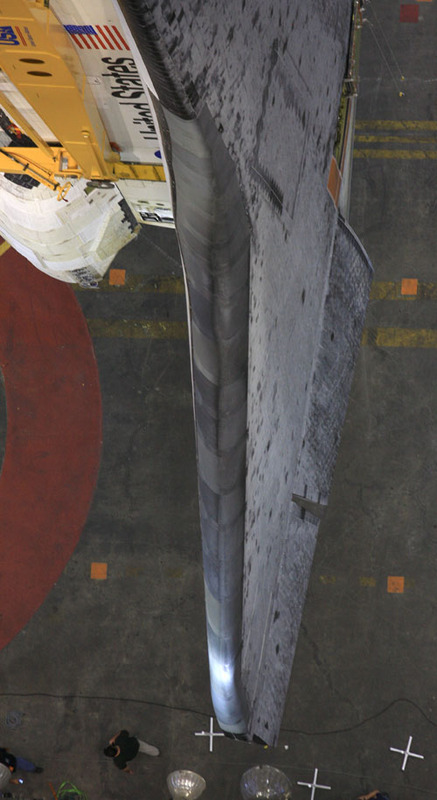 Hours after workers rolled the spaceplane into the Vehicle Assembly Building, the shuttle Discovery was lifted from its transporter and rotated upright inside the heart of the massive structure. 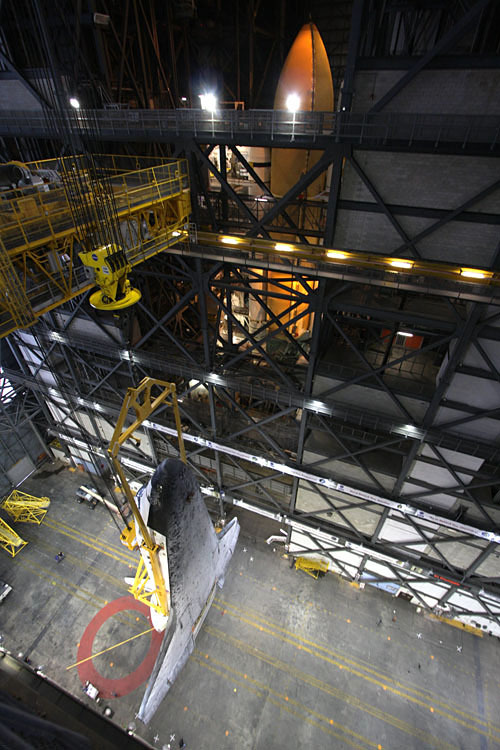 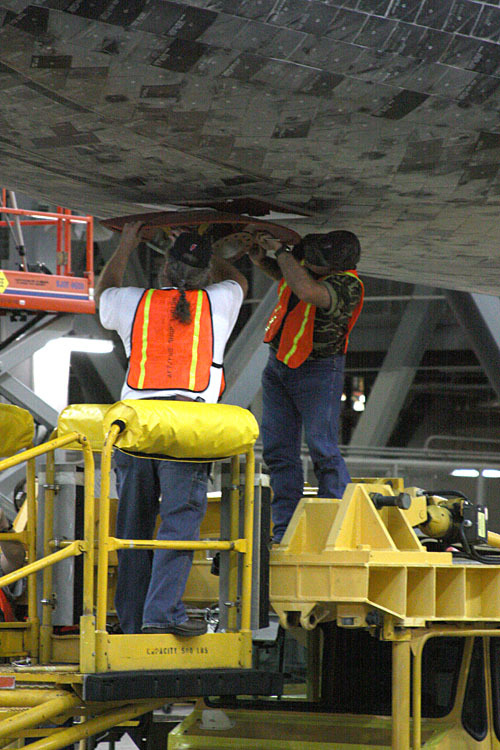 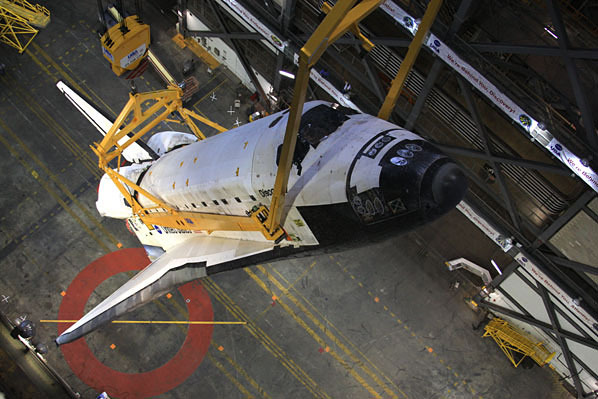 A heavy-duty crane hoisted Discovery just after 6 p.m. EDT Thursday and moved the shuttle vertical about an hour later. 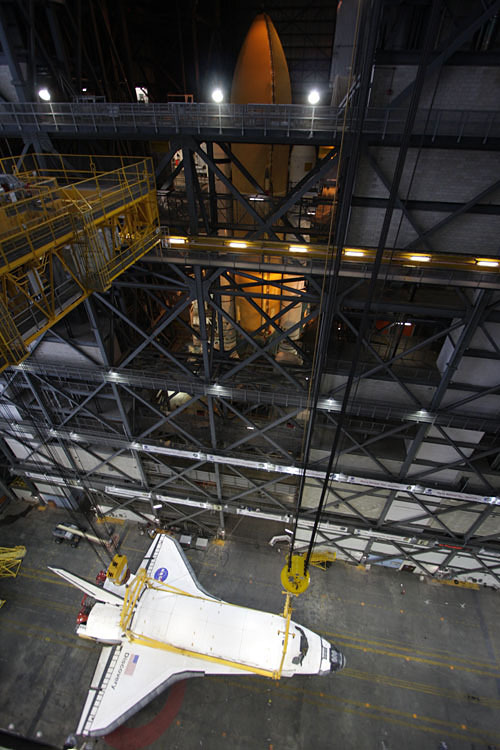 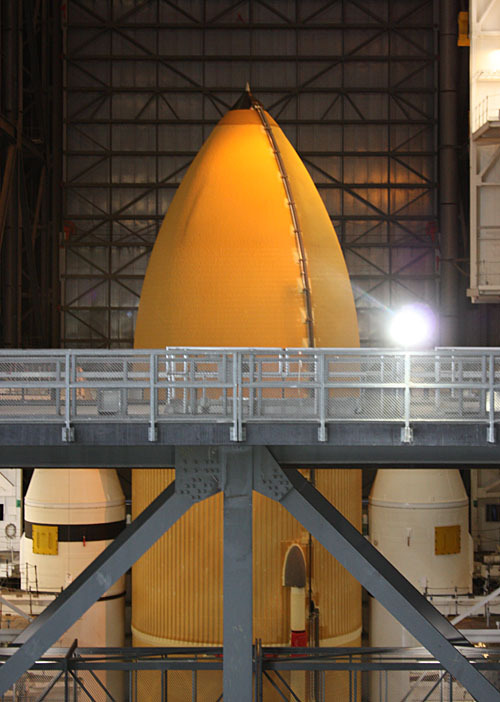 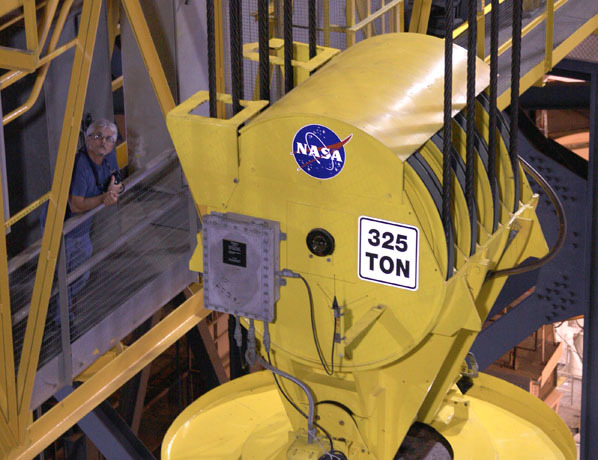 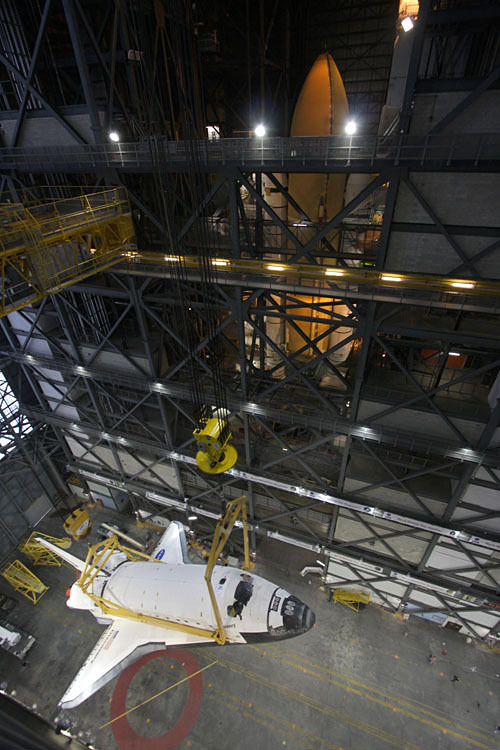 On Friday morning, NASA planned to hoist the shuttle high into the VAB's transfer aisle and over into High Bay 3 to meet a waiting external fuel tank and twin solid rocket boosters.